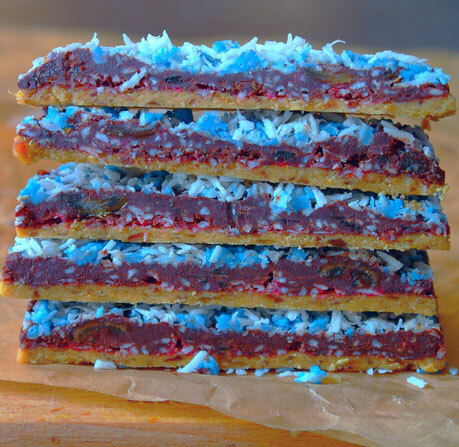 Healthy Sport Bars - simply & healthy vegan recipes that taste amazing! 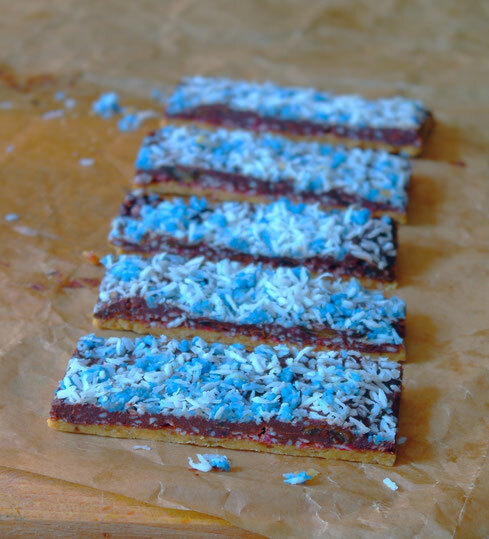 Healthy sport bars simple to make and very delicious! I´ve teamed up with Jimmy Joy to create some tasty and easy snacks! Here is the first one. This snack is perfect for everybody who needs something filled with proteins and healthy minerals before or after a work out. It contains no added sugar and only natural ingredients. It will give you a lot of enery and proteins. If you give it a try, let me know if you like it; I appriciate all feedback! Be sure to tag @vegan.niinja! Blend the base-ingredients in a blender until well combined. Spread the base over a baking sheet and press it out. 1/2 tsp maple syrup or coconut oil. Mix together the ingredients until well combined. Spead it over the base. Put the dish into the freezer while preparing the chocolate layer. Add all ingredients, except for 1 date, in a blender and blend until smooth. Chop 1 date in small pieces and add to the chocolate cream. Spread it over the coconut-raspberry layer. Put the dish into the fridge or freezer for about 10 minutes. Cut into 5-6 bars and enjoy! Alle Zutaten in einem Mixer geben und pürieren. Die Masse auf ein Back-Papier geben und ausdrucken. Alle Zutaten gut verrühren und auf dem Boden Schicht auspressen. 3 Datteln, Kokosöl, Kakao und Vanille in einem Mixer fein pürieren. Die eine übrige Dattel grob Hacken und zu der Schoko-Creme hinzufügen. Die Schoko-Creme über die Kokos-Himbeeren Schicht ausstreichen. Im Gefrierfach für ca. 10 Minuten lassen und anschließend in 5-6 Riegel schneiden. I am happy for all feedback! Please leave a comment below!